Ya get instructions for everything shown! Painted Fabric Pillow, Needlepunch Pillow, Punchneedle Punch Needle (however you want to call it) (obviously ya could rug hook it!) and Oh Mercy Me!!! 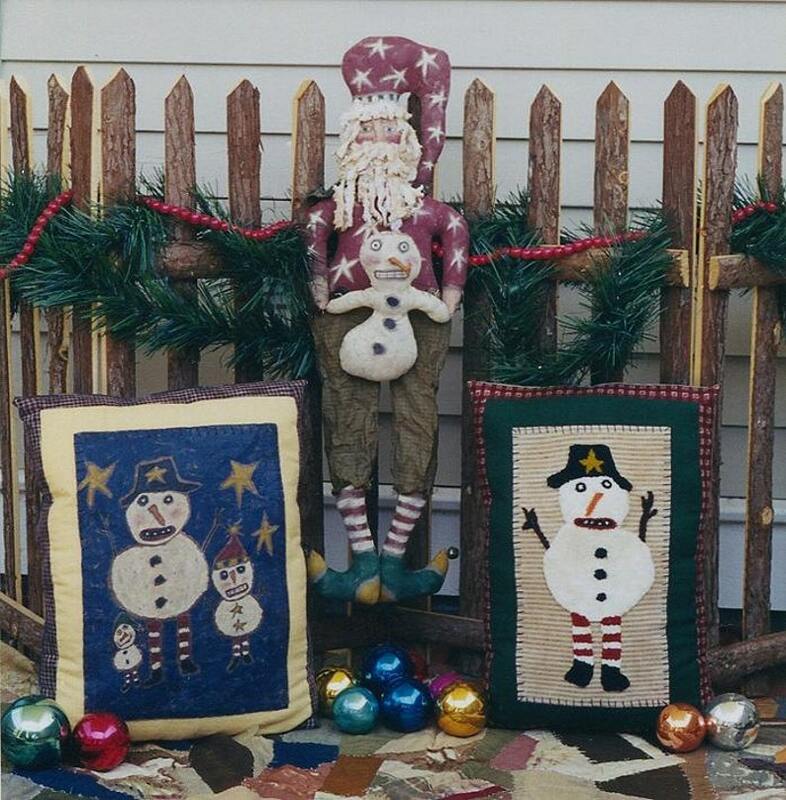 That fabulous hangin' santa with that funky fok art Snowman!!! W@W, even I'm impressed with this guy!!!! My patterns aren't written in the normal traditional manner...I pretty much write 'em how I talk...so cuss words, bad grammar and flub ups and flaws are all free!! Ya are gettin' a lot for your $!!! NOW YA CAN DOWNLOAD IMMEDIATELY!!! Just order, pay & download!! This pattern is BIG and so there will be 2 parts (files) for ya to download....didn't wanna bog your computer down with one big file.